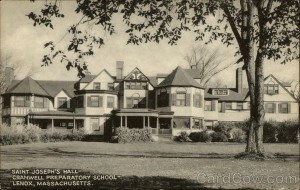 The private school era in Lenox goes on in various forms, but the private boarding school era largely came to an end in the 1970’s. 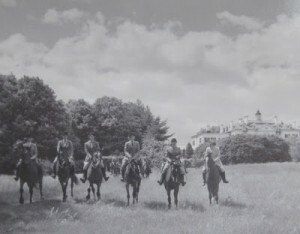 The rise and fall of the private boarding school era — and subsequent re-development – was a great example of Lenox’s ability to re-invent itself. The prosperity of the immediate post war era presented a unique opportunity to make use of the moribund “cottages” that dotted the Lenox landscape. The expense of maintaining these white elephants, heating them and the economic and social pressures of the 1970’s brought the era to an end. 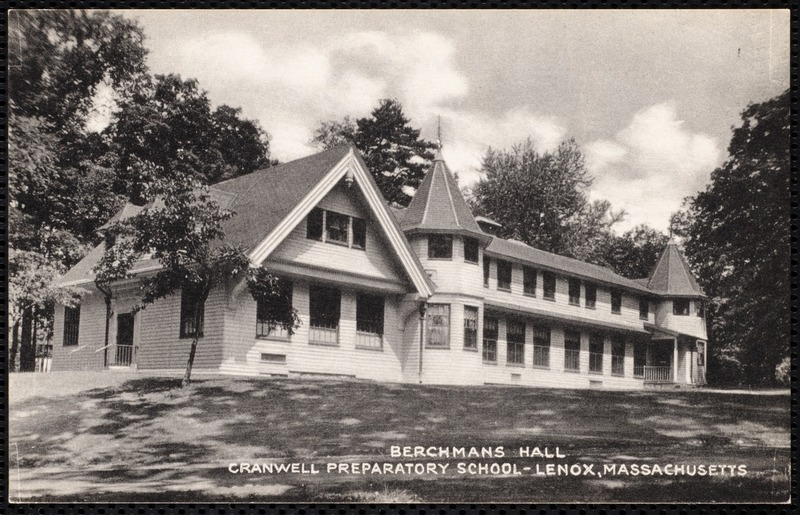 The Lenox School for Boys will be discussed first because there is extensive historical information available from the school’s alumni association and because it had the most influence on downtown Lenox. It is described as “loosely affiliated” with the Episcopal Church because the driver of the school’s founding, Rev. Dr. William G. Thayer, was an Episcopal minister and one of his reasons for founding the school was to provide quality education for Episcopal families of modest means. However, religious affiliation was not a criteria for admission and, although the church made some donations, the school was not directly funded by the Episcopal Church. Vision became reality under the coordination of Trinity Rector, Rev. Latta Griswold, who lobbied the diocese and his parishioners for contributions to purchase what was then called the Huntress Estate(from the name of the most recent owner) but is better known as Sunnycroft, home of GC Haven. 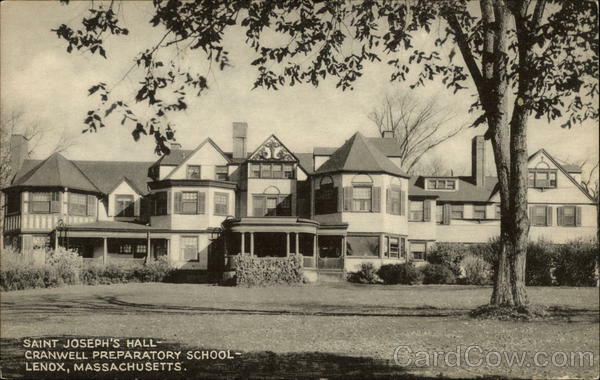 It became known as Griswold Hall and would serve multiple purposes for the school until it was torn down in 1938. The school continued to use the various outbuildings of the estate as Thayer Hall, East Cottage and North Cottage. –Walker House (called Jones House by the school – now being developed as apartments) was the Headmaster’s Residence starting in 1968. Many of the buildings were painted a uniform yellow and white and would have formed an even more noticeable presence in Lenox than than successors do today. 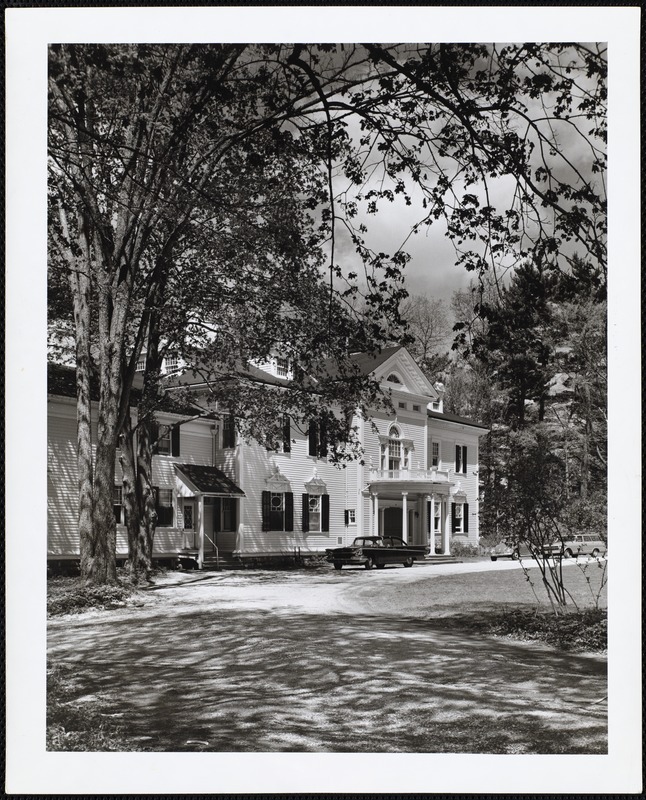 The school also acquired the Lanier farm (Lithgow Estate) on Old Stockbridge Road (1937) and much of the remaining property of Cortland Field Bishop after his death in 1935. Bishop had purchased the 20 acre Lanier Farm which dated from the 1850’s had ceased any active farming and was purchased by Mr. Bishop at Mr. Lanier’s death in 1925. The Lanier’s had lived across the Old Stockbridge Road in the Allen Winden Estate. In the 1960’s the school purchased the Lithgow estate (dating from the 1790’s on Old Stockbridge Road). Some of the outbuildings of the various estates were used by the school and stand in disrepair today. 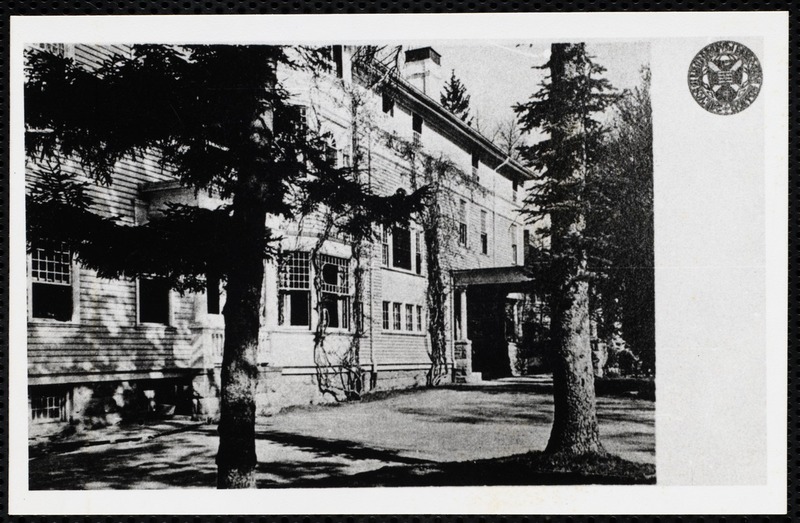 Some of the land acquired was used by the school to build new facilities such as Saint Martins Hall in 1938, Lawrence Hall in 1964, the hockey rink (1964) as well as various other sports and classroom facilities repurposed on the estates combined to form a campus. The school had expanded in the 1960’s at just the time when the desire for private schools was going down and interest rates were going up. The school closed in 1971 touching off a scramble to make intelligent use of the buildings left behind. An organization called Bible Speaks took over much of the campus from 1976 to 1987. After numerous other attempts at development the “new” buildings constructed for the school were bought in 1999 by Shakespeare and Co. which has succeeded in re-purposing some of the buildings for its popular theatrical performances. The fate of the remaining buildings remains in doubt. *Berkshire Country Day shared facilities and faculty with Lenox School for Boys until 1963 when it moved to Brook Farm (below today’s Kripalu on West St.) where it still operates today. The progressive Windsor Mountain School targeted a different educational segment. It prided itself on open education and diversity. Discussed in detail elsewhere, it had its own challenges but basically succumbed to the same triple threat as The Lenox School for Boys: declining enrollment, rising costs and over expansion. 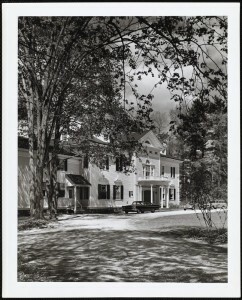 Today Groton Place, the former Winthrop estate, is used as a summer music school for high school students. It is run by Boston University (BUTI or Boston University Tanglewood Institute). Overlee was a private school for a brief period before becoming the Hillcrest Educational Center which it is today. More information on the prior educational institution is being sought. Foxhollow had its origins in an earlier school in New York. In 1939, Miss Farrell moved the school to Holmwood, the former seasonal home of Margaret Emerson Vanderbilt. . As the enrollment expanded, the school bought the adjoining estate of Edith Wharton, The Mount. We have no information on the specific reasons for the closure of Foxhollow. It is likely they suffered the same cost/enrollment squeeze as the other schools discussed. Much of the grounds of Holmwood (which used to be Erskine Park – the home of George Westinghouse) have been built up with condominiums. The main building was Enlighten Next for some time and is currently for sale. The Mount was used by the school until 1976. Starting in 1978, Shakespeare and Co. performed at The Mount and continued for several years after the buildings were taken over by Edith Wharton Restoration in 1980. Today The Mount is a major tourist draw as a historic house museum. a preparatory school encompassing today’s Cranwell and Coldbrook. Again, specifics on the reason for closure in 1975 have not been found but are likely similar to that of the other private schools. Coldbrook became condominiums and Cranwell became a resort and spa affiliated with Fairwynds Condominiums. One of the grandest of the “cottages” Bellefontaine was completed in 1898 by Giraud Foster. 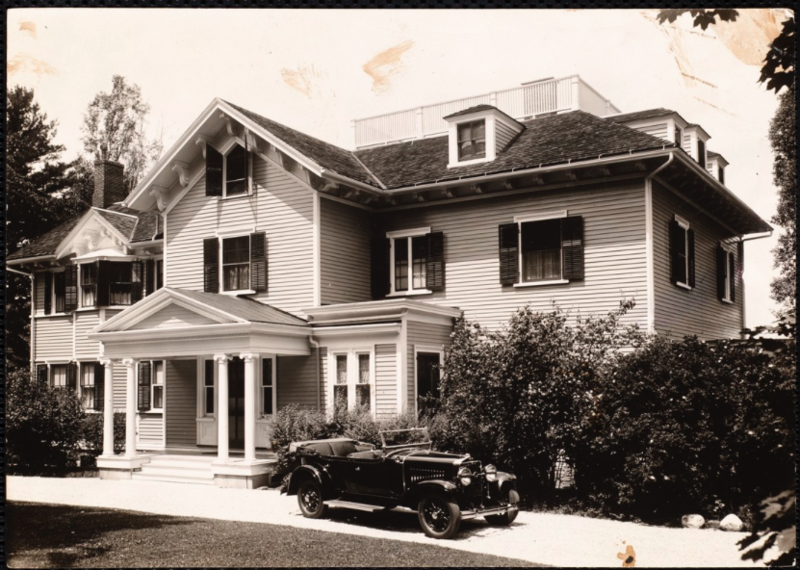 His son inherited the property in 1945 and sold it in 1946 to various parties. Mr. Cook bought the main house, ninety-six acres of land, the gate-house, the stables, and a green-house for a summer estate. He turned them over to the Immaculate Heart of Mary Seminary in 1947. 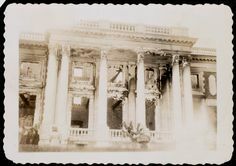 In 1949 much of the main building burned. 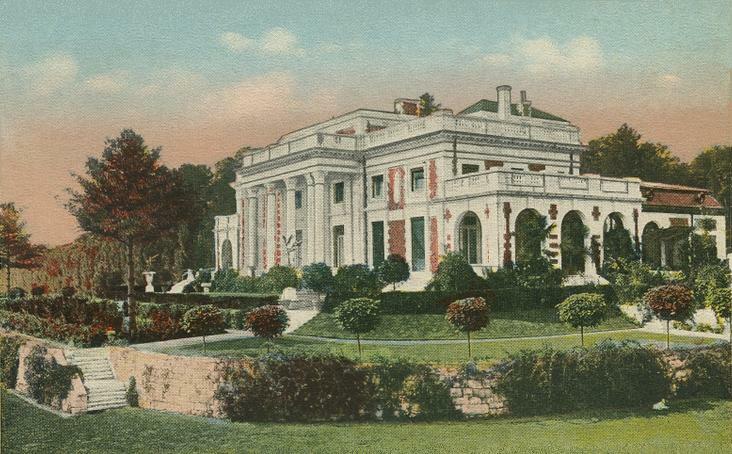 The library survived and remains today as a reminder of the splendor of the original estate. The owners, the Fathers of Mercy, rebuilt and in 1960, the Priests of the Sacred Heart, acquired Bellefontaine from the Mercy Fathers and they continue to utilize the buildings as a minor seminary for young men interested in the Priesthood and Brotherhood. In 1972 the Mercy Fathers presumably ran into the same cost problems as the other secular private schools. In addition the 1970’s saw the beginning of declining interest in entering the priesthood. Today Bellefontaine has been resurrected as a nationally known spa, Canyon Ranch and is soon to add a condominiums complex.